EU foreign ministers urge the United States not to junk Iran deal as deadline approaches. Foreign Ministers from the European Union (EU) met in Brussels on Thursday and urged the United States not to scrap the 2015 Joint Comprehensive Plan of Action (JCPOA) - better known as the Iran nuclear deal - as the deadline for the United States Congress to make a decision on whether to keep the deal approaches. "The deal is working. 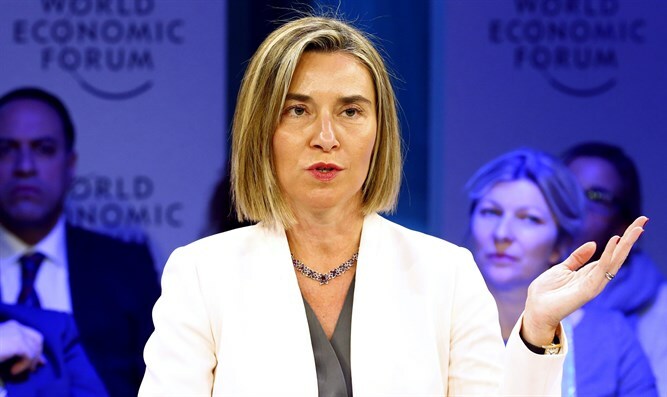 It is delivering on its main goal which means keeping the Iranian nuclear program in check and under close surveillance," said current High Representative of the European Union for Foreign Affairs Frederica Mogherini. According to German Foreign Minister Sigmar Gabriel, scrapping the deal would encourage North Korea to continue its rogue behavior. “If the only agreement of this kind is smashed it would send a very dangerous signal to others. We see a dramatic development in North Korea, which is striving for nuclear weapons. This is why we Europeans think it is imperative to preserve the agreement," said Gabriel. England's foreign minister Boris Johnson said that while the deal was flawed, no one had found a better way of containing Iran's nuclear ambitions "We greatly value the JCPOA, the nuclear deal with Iran, we think it is a considerable diplomatic accomplishment, it’s a way of stopping Iran from acquiring nuclear weapons and Iran is in compliance with this agreement according to the International Atomic Energy Agency," he said. Instead, he said it contained “many serious flaws,” and left any decision about the deal up to Congress. On Monday, Iran threatened to reconsider its cooperation with the UN nuclear watchdog if the United States failed to respect its commitments in the nuclear deal. "If the United States does not meet its commitment in the JCPOA, the Islamic Republic of Iran would take decisions that might affect its current cooperation with the International Atomic Energy Agency (IAEA)," Iran's nuclear chief, Ali Akbar Salehi, told IAEA Director General Yukiya Amano in a phone call on Monday, according to Reuters. Iranian Supreme Leader Ayatollah Ali Khamenei has said Tehran will stick to the agreement as long as the other signatories do, but will “shred” the deal if Washington pulls out.